Freeflow Kustom, a.k.a Fahmi, is bringing the world of kustom kulture to Bandung, Indonesia. 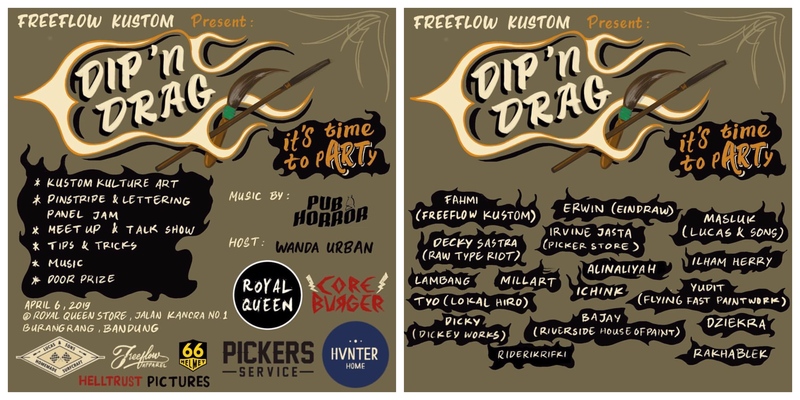 On the 6th April 2019, Freeflow Kustom will be taking over the Royal Queen Store, based in Burangrang, Badung. The event will be packed full of workshops and activities for fans to get involved with. The event will see various artists and kustom kulture enthusiasts share their love for all things pinstriping and kustom koolness. The event is free and everyone is invited, from the open public to seasoned pinstripers.